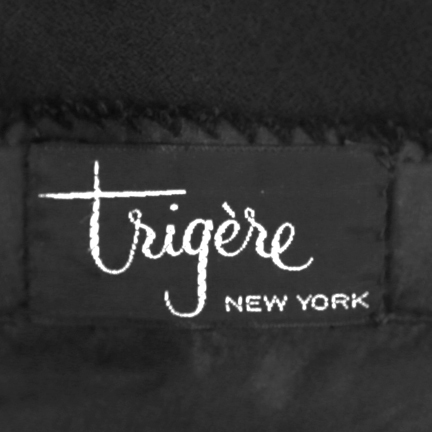 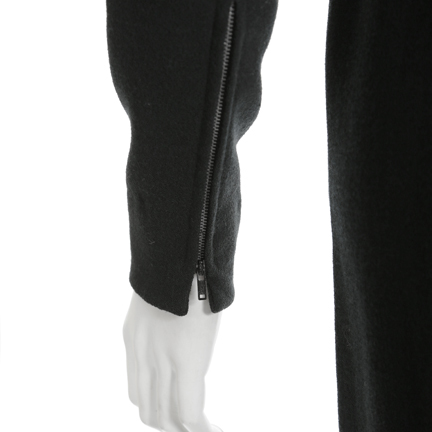 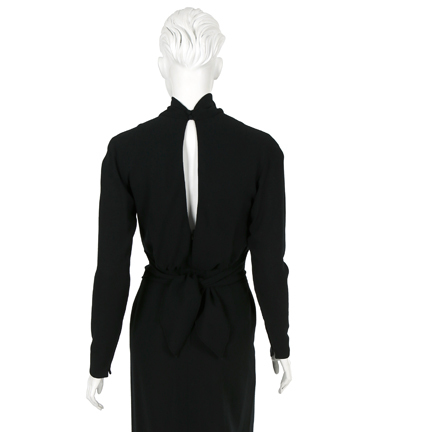 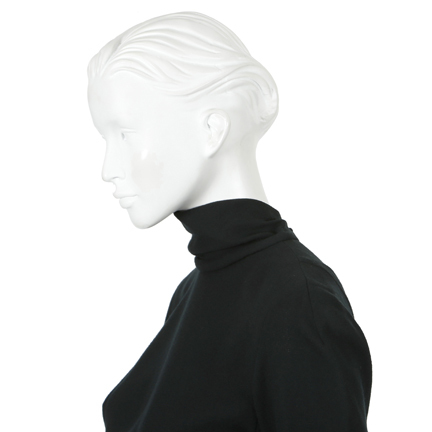 The black wool crepe dress by Trigere, has a stand collar, long sleeves, with zip closure, fitted bodice, open back, and large tie back. 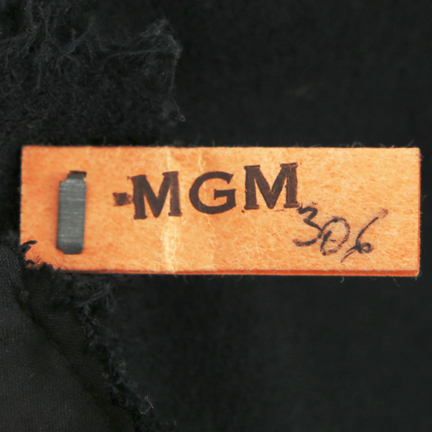 Internal MGM Dry Cleaning tag, Tigere New Label, and Debbie Reynolds Collection tag attached with “Balalaika LLona Massey MGM 1939 C-012842” attached. 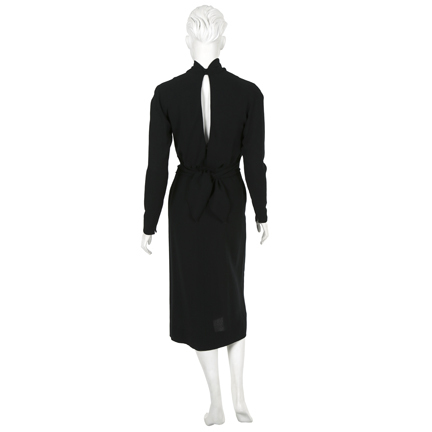 This item was acquired from the Debbie Reynolds Collection.